Posters that teachers and/or programs can print to celebrate student success stories. #IamABE would like to see teachers and programs in MN photographing students holding these signs and allowing students to post their photos on their social media accounts – and if they give permission to post them on programs’ websites and social media pages as well. The ultimate goal would be to reach teachers’ and students’ families, friends, coworkers, communities and legislators. MN ABE is a flexible and adaptive system that is continually evolving to address the rapidly changing environment for skilled labor, economic improvement and literacy. 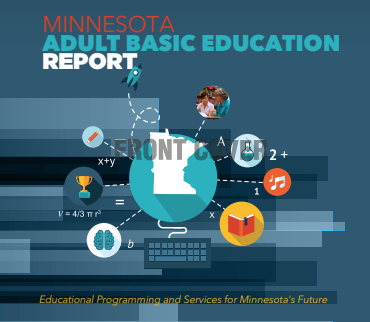 The statewide program provides education and literacy programs throughout MN for adults without a high school diploma or who are no longer eligible for high school to participate effectively as productive workers and as citizens. Invest in MN ABE programs to meet the critical economic and workforce challenges in the near future.